𝟵𝗮𝗺 - 𝟵𝗽𝗺 📍In the shop: 𝗘𝘅𝗰𝗹𝘂𝘀𝗶𝘃𝗲 𝗥𝗦𝗗 𝗥𝗲𝗹𝗲𝗮𝘀𝗲𝘀 and our best shop stock line evarr. 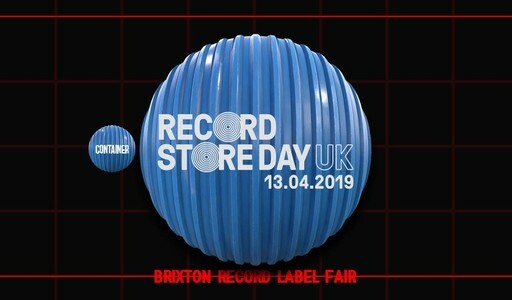 𝟭𝟮𝗽𝗺 - 𝟳𝗽𝗺: 📍Greenhouse (upstairs) 𝗗𝗶𝗴𝗴𝗲𝗿𝘀 𝗟𝗼𝗳𝘁: Cigarette Records and Container Records go head to head in Pop Brixton's event space with thousands of second hand records to dig through. 𝟲𝗽𝗺 📍Event Space: 𝗖𝗵𝗮𝗿𝗶𝘁𝘆 𝗥𝗮𝗳𝗳𝗹𝗲 in aid of Key Changes, award-winning music services in hospitals and the community for young people and adults experiencing mental health problems.